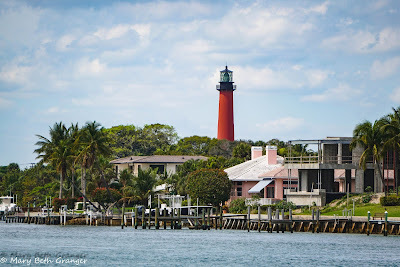 For the past 14 years I have been able to visit Jupiter Florida each March. 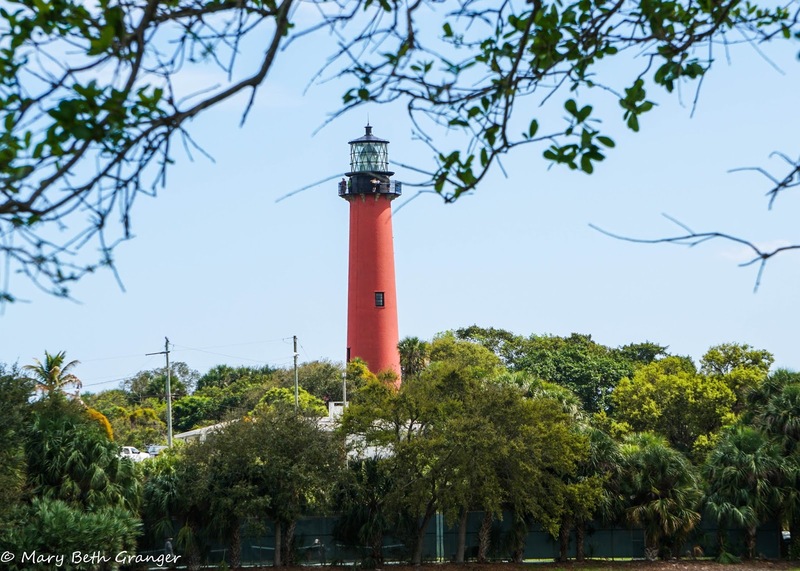 One of my favorite activities there is to visit the lighthouse and to photograph it from various locations. I have posted some of these photos on this blog in the past and now I want to share some updated photos from this year. The photo above was taken on the boardwalk across the inlet from the lighthouse. I love watching the boats passing in front of the lighthouse. Lighthouse museum in adjoining park where you can purchase tickets to climb to the top for a great view of the area. 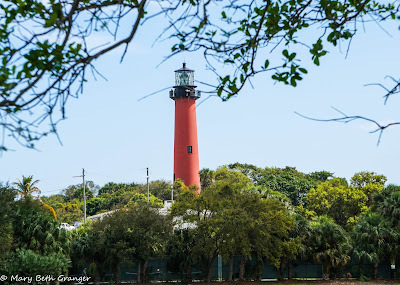 This view of the lighthouse was taken from the park that is in front of the museum. Here is a view of the lighthouse taken from the end of the inlet just before it enters the ocean. This photo of the lighthouse was taken through a crystal photography ball that I set on a pier across the inlet. I have fun shooting from various angles and using new techniques. That's a beautiful lighthouse. I live in Eastern Canada and last Summer, I did the lighthouse tour of Gaspe Peninsula, visiting 13 lighthouse. I'm happy to have found your blog. Thelma. Thelma so glad you stopped by. I love photographing lighthouses. I have also photographed several in Canada in Nova Scotia and Prince Edward Island. 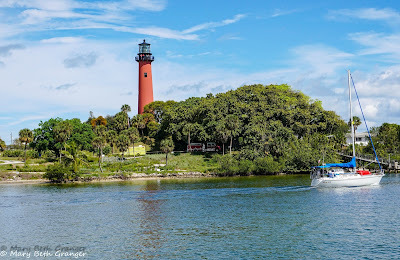 Always fun to see your lighthouse visits through your beautiful photography, Mary Beth. I hope someday to visit Jupiter, Florida, especially during the Cardinals' Spring Training. I know you would love Jupiter Elf....especially when the Cardinals are there. Beautiful photos Mary Beth! 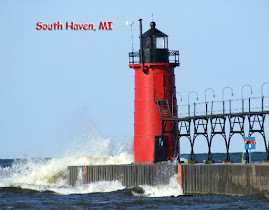 I always enjoy seeing your lighthouse pictures. That is a very pretty photo using your photography ball too. Very cool indeed! Thanks for stopping by Cynthia. 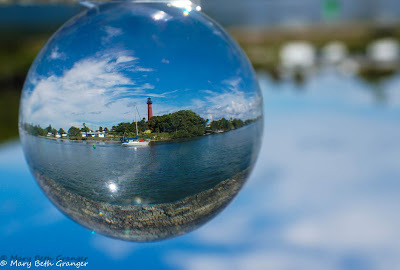 Love light houses and am definitely intrigued with the photo ball!